Jimmy Burns Singer puts on a poetic stare for the publisher’s mugshot for ‘Living Silver’, 1958. Singer knew the Roberts well and counted them as friends, so his outrage must have been heartfelt. His later contributions to the TLS show that he became a forceful advocate for black literature and the civil rights movement. Marie Singer’s analysis of Colquhoun would have been worth a listen-in, had he taken up the offer. I assume that “straighten” is not used here in any homophobic sense. Cedra Osborne, who died in 2006, is an interesting figure in her own right; she also appears in the photo here of the Roberts, George Barker and W S Graham at Tilty Mill – on the right, next to Paul Potts. 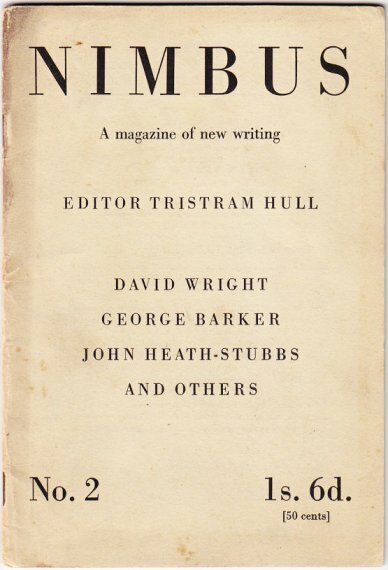 She took a step up from bohemia in 1955 on becoming secretary to posh portrait painter Pietro Annigoni, but for a while was a bit of a poet herself, judging by the following piece by her from Nimbus 2, Spring 1952 – an early issue of this slim review with contributions by others of the Barker circle, including Cashenden (Betty) Cass. And a knife stuck in my face. The sewage near the esplanade. Cradles the wrecks with arms of rock. And a short knife in my right eye. What dreadful passions here ran rife! Who snared me in this fearful skein? Oh whose the hand that drove the knife? Oh Esther, read the cards again. I like this. It’s not the deepest poetry ever written, but it has a macabre, balladey smack to it that reminds me of Charles Causley’s “Dying Gunner”: “Oh mother my mouth is full of stars / As cartridges in the tray …” True, the first verse is the strongest, but even so the poem seems well worth rescuing here. I haven’t come across any other published poems by Cedra Osborne. 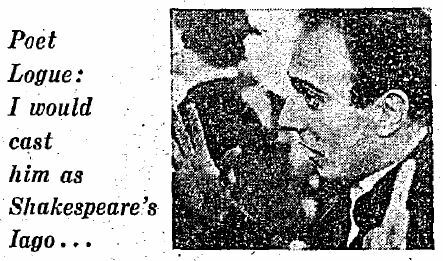 A new unscrolling page above – The Transparent Prisoner 2 – has yet another glimpse of bad boy poet Burns Singer, this time from the Daily Express of 1961, no less, and in equally bad company with Christopher Logue. (Many thanks to Roger Allen for helping track this down, in response to my previous post, now deleted, where I wondered if the “Christopher” of the article was Christopher Fry. But not so.) For good measure, I’ve also copied onto this page the earlier post about Singer and Colin Wilson. “Poets without Appointments” is a rollicking read, and is kind to Singer: “He may never set the world on fire, or earn much money. But Jimmy has looked deeper into the river than most of us.” Amen to that. 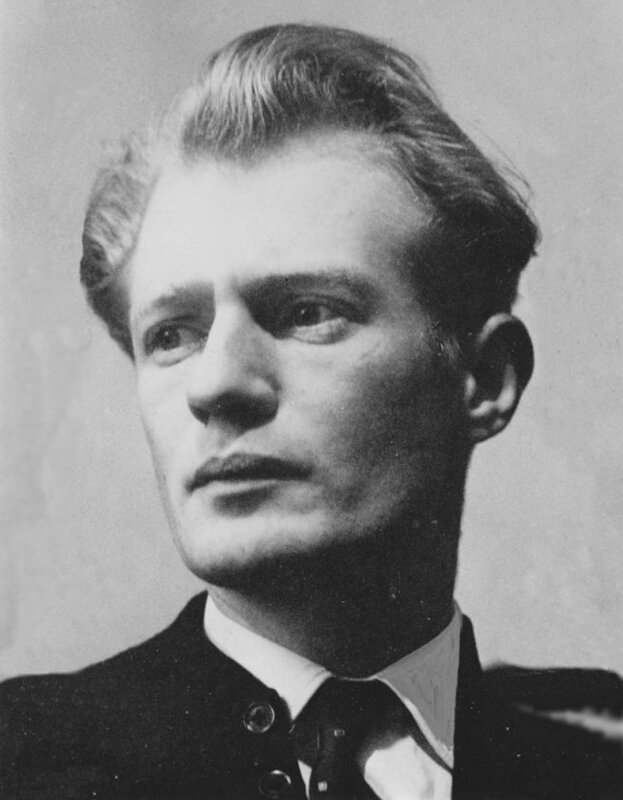 Singer died in September 1964. In the Times Literary Supplement of December 17 appeared a poem, “In memoriam: Burns Singer”, by W S Graham. But this was not submitted by Graham, who later wrote to regret its publication. (Was it sent in by Marie, Singer’s widow?) Graham’s letter was printed in the January 21 1965 edition. His objection that this rhymed sonnet was not representative of his work seems fair, but at this distance he sounds too dismissive, maybe, of this piece of “fun”. The last three lines of the second stanza are as good as anything he wrote. The letter has been reprinted in The Nightfisherman: Selected Letters of W S Graham (Carcanet 1999), but I can’t see the poem anywhere else, so here it is, along with the letter. And gave to tears what his grief could ill afford. Under the ancient hardware of the sky. The bastards of the lions of your pride. Yet undiminished by the surrounding tear. Burn as the singer burns in the half of grief. You scald the face of silence when you laugh. Sir, – I have just returned from Greece to find in the TLS a poem – “In Memoriam – Burns Singer”, by W. S. Graham. I wish to state that this was not submitted by me. These words were written for fun ten years ago in an Aberdeen pub. Jimmy (Singer) wrote one for me too and we both decided they were impossible. I saw Burns Singer about three months before his death and he suggested it was worth publishing. I disagreed completely. The thing is that this poem is not representative of any work I have done or do now, and, as such, will give a wrong idea of the kind of poet I am. I hope sometime to write a poem for Burns Singer which will be adequate. 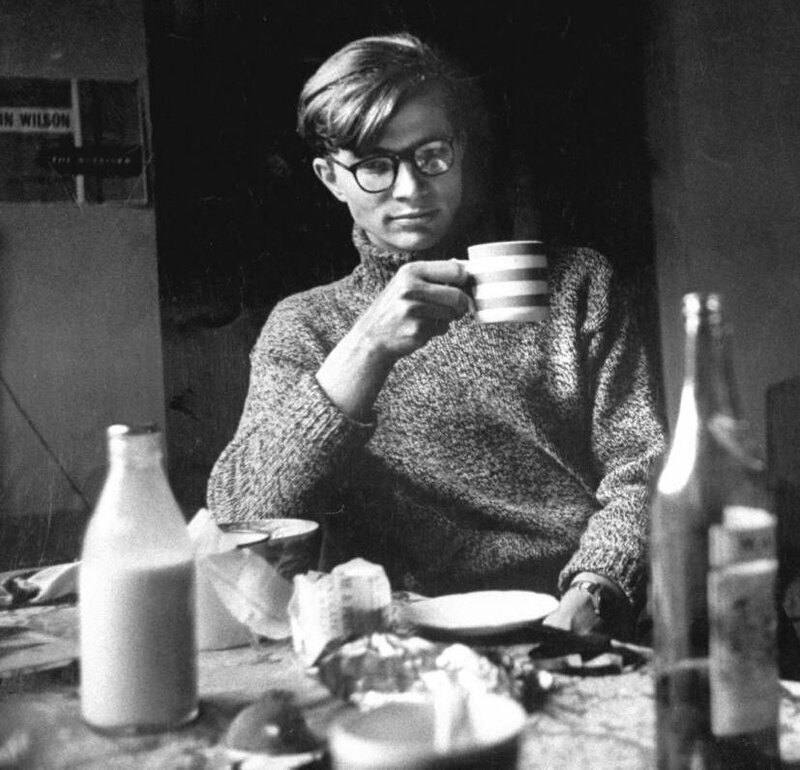 As an impressionable teenager I was quite impressed by Colin Wilson’s The Outsider. Since those distant days, of course, Wilson has slid from existentialism to murder mysteries to the mystical-wystical; in support of his busy publishing schedule he hasn’t, it seems, allowed either a degree of repetition or the uncertainties of memory to hinder a good story. The stereotyping of “the Scots” is bit casual, but the final sentence is generous enough: Singer is “a brilliant poet”, and his early death is presented as a regrettable fact. (No mention of the review, oddly.) But when this anecdote is re-run (shortly after?) in issue 13 of Abraxas (the Wilson mouthpiece magazine), not only has the “wonderful” Outsider become “a masterpiece” in Burns’ eyes, but, more worryingly, Wilson conflates Singer’s early death with the payday binge to come up with the creative assertion that the poet “was to die of alcoholism”. “Two weeks before publication day, I went to another party … and there met a young, good-looking Scot named James Burns Singer, whose fine blond hair and delicate features gave him a girlish appearance. To my surprise, he had read The Outsider in proof, and told me had had reviewed it for The Times Literary Supplement. 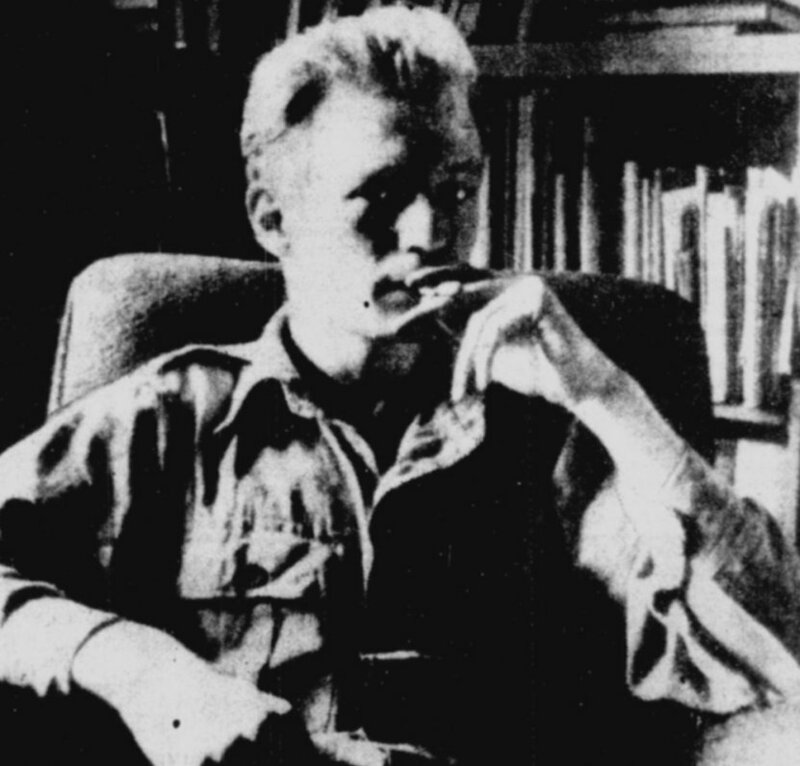 He mentioned that he had written an article about the Scottish poet Hugh MacDiarmid, and intended to collect his fee from the Encounter office the next day. He invited me to join him and have a drink afterwards. I met him at eleven, and we went to the office of Encounter in Panton Street, where he got an open cheque for £40, then went to a bank around the corner and cashed it. And as it was nearly midday, he dragged me into the nearest pub, and there proceeded to drink the money. This carried on through most of the afternoon, although I took care to drink less than he did, and to eat sandwiches to soak up the whisky. That evening I had been invited to the flat of Maurice Cowling … John Wain … was to be there. And since Burns Singer wanted to meet Wain, he came too. But by that time he could scarcely speak, and before Wain arrived, he had fallen asleep on the settee, and only grunted when our host tried to wake him. Wilson carefully tells us that he meets Singer not at ten thirty or ten forty-five, but at eleven. (I’m disappointed he doesn’t tell us what was in the sandwiches with which he soaked up the alcohol.) This level of clarity might encourage us to trust his statement that Singer “drank himself to death”. Clearly, anyone who (a) drinks and (b) dies in bed should be suspect in that regard. But the pub crawl continues. Staggering on to The Angry Years: A Literary Chronicle of 2007, we find our host settled back in the full confidence of rehearsal, and get the whole story again with additional dramatic detail. Wilson is now “astonished” to learn that Singer has read a proof of his book, Singer consumes “an incredible amount” of whisky, recites “all his own poetry” by heart as well as “most of Hugh M’Diarmid and W S Graham”, is not only taciturn by evening but “hardly able to stand”, and is finished off by yet another “large” whisky provided at the flat. John Wain turns out to be “aggressive … prickly, possibly with a touch of paranoia”, and looks “contemptuously” at Singer – not surprising, given that he is said to “detest drunken Scots”. The poet sleeps on, “looking rather like Shelley with his long blond hair and girlish features”. Elsewhere in The Angry Years Wilson mentions again the periodical “Botteghe Obscura [sic], which paid top rates (and to which Burns Singer also contributed).” Botteghe Oscure was not an especially obscure literary periodical, but neither Wilson nor his proof readers seem to have found it necessary to check the spelling of the Italian. Significantly, Wilson has by now dropped the unfortunate statement that Singer boozed himself into an early grave, though the Shelley imagery subtly provides a compensatory hint of premature and tragic demise for a doomed and “girlish” poet. (Was Wilson also thinking loosely of Henry Wallis’ painting of the Death of Chatterton?) It’s by no means self-evident that drinking contributed to the heart disease that killed Singer. But there are other missing elephants in the room. We have it on good authority (Dr Eric Corner, Singer’s colleague at Plymouth, cited by Walter Keir) that in the last year of his life Singer visited several other writers in the South West, including the Cornish poet Charles Causley – and Colin Wilson, who had moved to Cornwall in 1957. If so, it’s strange that this second meeting is not mentioned. Singer’s review of The Outsider, under the title “Chosen Few”, appeared on June 8 1956, but Wilson doesn’t say another word about it. A prominent review in the prestigious TLS by a reviewer who said he thought The Outsider “a masterpiece”? Modesty? Oversight? In fact, Singer’s review hit the nail firmly on the head. A bag full of nails, in fact. Loftily casting Wilson (aged 24 at the time) as “a very young man who has written … a very ambitious book,” Singer (aged 27) faintly praises The Outsider as an honest, intelligent and “very interesting” but “desperate attempt to make sense of the conflicting views of life that have been thrown at [Wilson] by an immense variety of books.” About the best he can find to say is that “the charm of the book arises from its faults,” that it is “less portentous” than what it sets out to be, and “more human”. And whatever Burns Singer was, he was never obvious in the sense that Mr Wilson means, either. He may have been a long haired poet, talking incessantly one half of the time and in a drunken torpor the other, but he had The Outsider down to a tee. 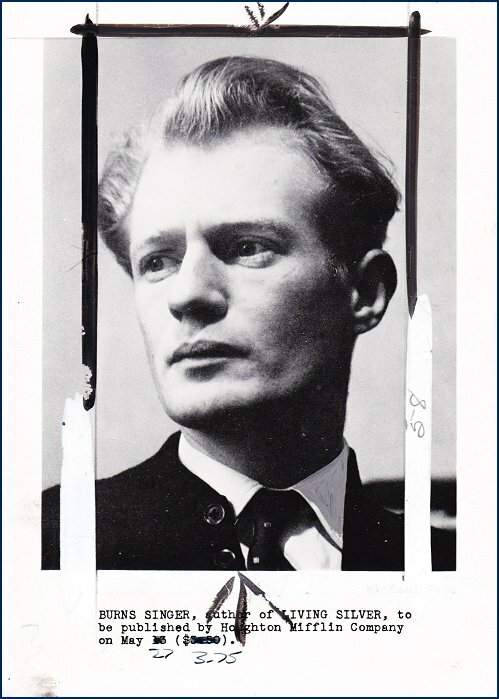 I’ve been meaning to do something on Burns Singer, aka Jimmy Singer, blond boy wonder / bad boy of the ‘fifties poetry scene, ever since the late Gordon Wharton confessed to me that he’d hit Singer with a bottle of wine at a literary party in 1955. 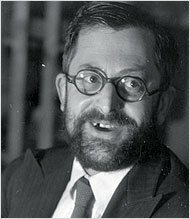 Singer’s attack in Encounter on the poetry of William Empson is now on my Empson page, and I had thought of putting Singer on the W S Graham page, given that he was very much an acolyte of Graham’s. But Singer seems significant and interesting enough to deserve a page of his own, so here it is (or use the final tab above). So far, I’ve focused on his life, death and larger-than-life persona. For someone so universally and fiercely unpopular, he seems to have inspired an equally fierce affection in some. A look at the poetry will come later – it’s well worth looking at. Remarkable that Singer links so many personalities peppered across this blog: Empson, Graham, Wharton, Dylan Thomas, the Roberts Colquhoun and MacBryde, Benjamin Creme, and George Barker … Though I guess the ‘fifties bohemian scene was something of a small world. This is the world’s starvation centre. Barker shook down when words stuck in his side. Last June I put up a page on the poetry of William Empson, which contained a number of unworthy ad hominem comments. Trying to be clever, I succeeded only in upsetting someone who had known and respected the Empsons, and who rightly found my comments irrelevant and facetious. So the page came down. After a prolonged re-think, here (or via the Empson tab up top) is another stab at it. Or the beginnings of a stab, at least. I have kept my personal memory of Empson’s bizarrely derelict and deserted Sheffield basement, if only because it speaks to me imaginatively of something in the man and his work. 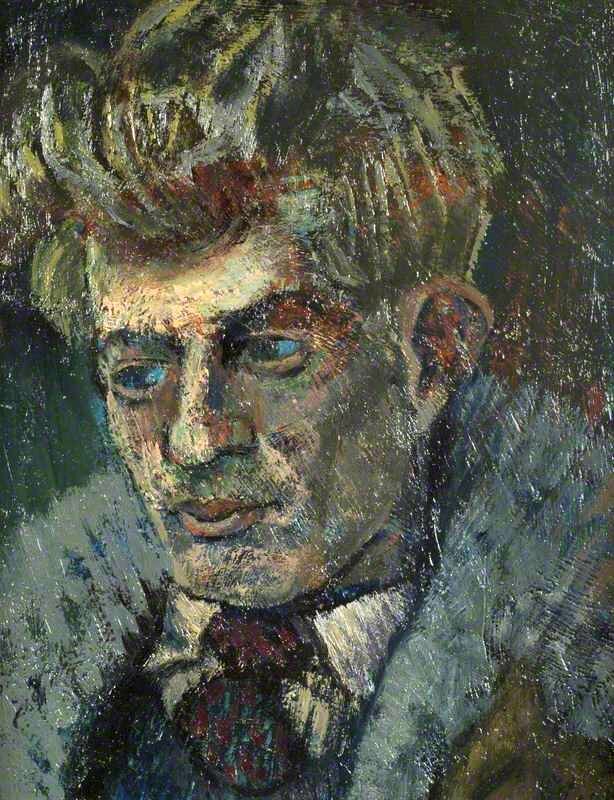 In place of my own comments on Empson’s poetry, which struck me at first as infuriatingly obscure, I’ve substituted a review of his 1955 Collected Poems by the poet and blond wunderkind Burns Singer (born James Hyman, or Jimmy, Singer). 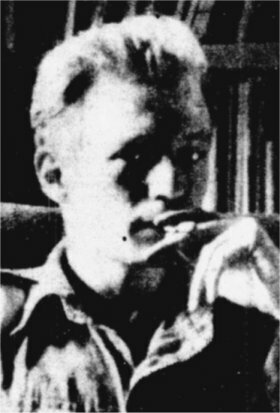 This makes some similar points, but more cleverly, and far more interestingly, given that Singer was writing for the review Encounter, at that time a covert CIA mouthpiece with a very definite interest in discrediting Empson, who had criticised the magazine’s pro-American stance and had questioned the origins of its funding, infuriating its UK editor, Stephen Spender. A cold war hatchet job, in fact, but written by a neglected British poet whose career and work are of real interest in themselves. I expect more scraps on Empson will follow. And Singer, come to that.